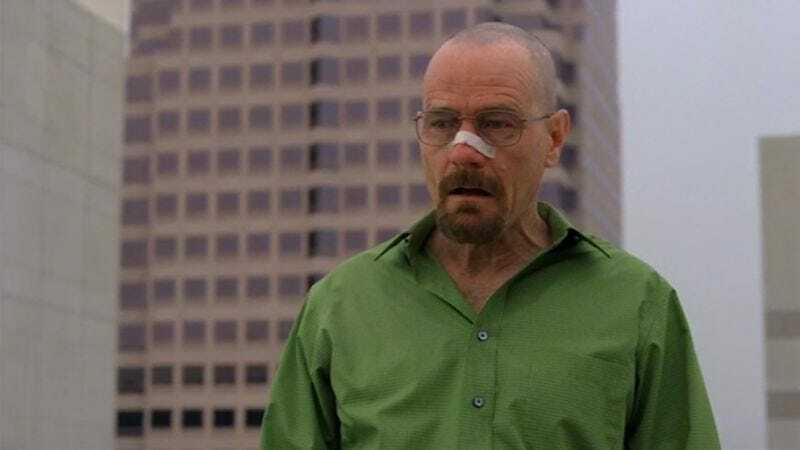 AMC has so far not made any official comment on the date of Breaking Bad’s return or the plan for its final 16 episodes, but Bryan Cranston, mad with absolute Cranston, has once again gleefully gone rogue. “We’re splitting it,” Cranston tells Entertainment Weekly of the final season. “We’re going to shoot the first eight, then take a four-month production break, then the rest will air next year.” As reported earlier, Cranston already told the Twitter world that the show would debut its fifth season in July—an unofficial return date still, but a defiantly Cranstoned return date. The network will likely make a more definite announcement soon, though as of now it’s less certain about Cranston’s suggested four-month production break, calling it only “one scenario.” But those earlier rumors regarding spreading out the final chapters of Breaking Bad seem to be all but confirmed now, which means Walter White will continue to wreak well-intentioned havoc through 2013.